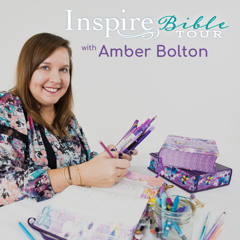 Amber Bolton’s nationwide Inspire Bible journaling workshops have drawn thousands of people to experience a fresh approach to Bible reading. Amber has 20 years of youth ministry experience and is passionate about helping people discover the joy of reading their Bibles and responding creatively in the margins. She teaches her 4-step Bible study process to help people of all ages and stages of faith discover the rich treasures found in Scripture. If you’re looking to get inspired, this is the workshop for you! More than washi, ephemera, and paints, Amber desires for people to grow in their relationship with God through Scripture. You can find Amber on Instagram @biblejournaling and on the Facebook Inspire Bible page. Join Amber at Stamp and Scrapbook Expo in person or online! Join Amber Bolton at the Show! 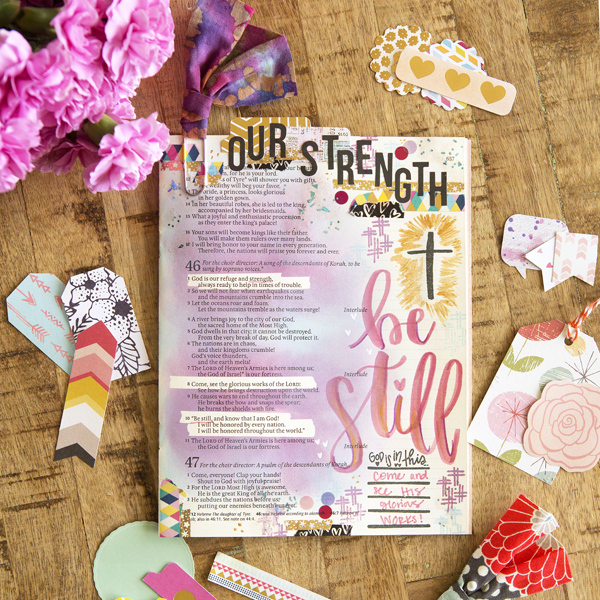 Bible journaling is a great way to connect with scripture, creativity, and use all of those fun supplies from your craft room! Now you can learn how to use your scrapbook and stamping skills in the margin of an Inspire Bible. Join Amber Bolton of @biblejournaling on Instagram as she shares about the Inspire Bible. This workshop will include a workbook, embellishment goodie bag, and provide you with tools, tips, and techniques to get started journaling in the margin of your Bible. You’ll complete a full page, be guided through Amber’s 4-step process, and learn great tips to help motivate and INSPIRE you! What products will be highlighted: Inspire Bible, Tombow Dual Brush pens, clear acrylic stamps, Distress Oxides, ephemera, and Washi tape. What will I learn or complete: You will complete a full page in the Inspire Bible workshop workbook. You will leave with the workbook, Amber’s Introduction to Creative Journaling book, and embellishments. What do I need to bring to class: Nothing. What techniques will I learn or use: You will learn about Amber’s 4-step Bible journaling process, hand-lettering, and how to layer and use ephemera, embellishments, and Washi tape in the margin of a Bible.